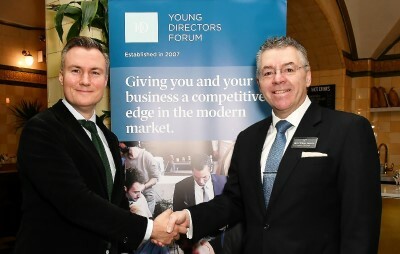 David Stringer-Lamarre, MD of FortisCL, within his capacity as Chairman of the Institute of Directors, London Region was pleased to attend this Institute of Directors, Central London, Young Directors Forum event. Following a presentation by Rowan Heasley the 100+ attendees actively networked. This was the first event under the leadership of the new Chairman of Central London Branch, Young Directors Forum, Andrew Tollinton. He is the fifth Chair of the Group. ← ‘Entrepreneurship in the City’.